The Spanish Grand Prix may have ended on Sunday, but teams remained at Circuit de Catalunya until this afternoon, having completed two days of testing in Barcelona this week. Most teams took advantage of the test to give track time to their test, reserve and development drivers, with Jake Dennis, Jack Aitken and Oliver Turvey some of the less familiar names in action. While the teams may have been testing new parts, Pirelli were also busy at the test, with McLaren and Force India each running a second car for F1’s tyre supplier. It will be the final time F1 tests at Barcelona this year, with the second in-season test taking place after the Hungarian Grand Prix. We take a look back at each team’s activities at the test. 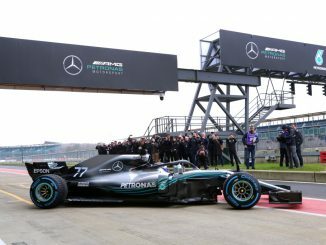 The current constructors champions kept Lewis Hamilton and Valtteri Bottas in the car for the Barcelona test, although Junior Driver George Russell was in action with Force India for the Pirelli tyre test. Hamilton was in the car on the opening day, finishing sixth in the standings after focusing his efforts on the soft tyres. 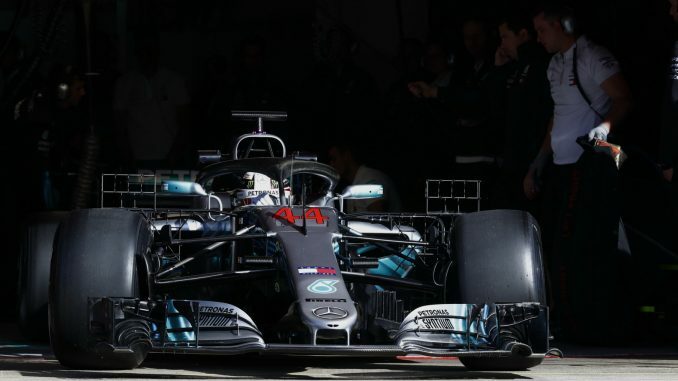 The team used Hamilton’s time in the car to collect aero data and check correlation between the wind tunnel and recent updates, as well as working on setup and engine development. The Briton was the busiest driver on Tuesday, completing 151 laps of Circuit de Catalunya. Ferrari gave an outing to Ferrari Academy product Antonio Giovinazzi, who was also in action with Alfa Romeo Sauber. However, it was Sebastian Vettel on duty on day one, completing over two Grands Prix distances on Tuesday. Ferrari gave the four-time champion some developments to test, but insisted the new parts aren’t aimed at Monaco. Vettel ended the day third in the standings behind Max Verstappen and Carlos Sainz, but set his fastest time on the soft tyres. 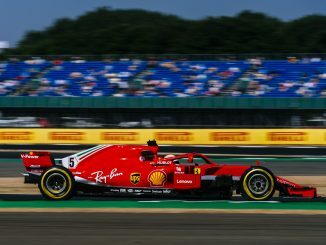 Despite completing 135 laps for Sauber on Tuesday and feeling under the weather today, Giovinazzi had a busy day for Ferrari, completing 148 laps to finish second, just 0.068s behind Valtteri Bottas. Unlike Vettel, his fastest time came on the hypersofts, which will be making their debut at the Monaco Grand Prix. There was a new name in the car for Red Bull, as Simulator Development Driver Jake Dennis joined Max Verstappen for the test. The former GP3 driver had a difficult act to follow as Verstappen topped the timesheets on day one. 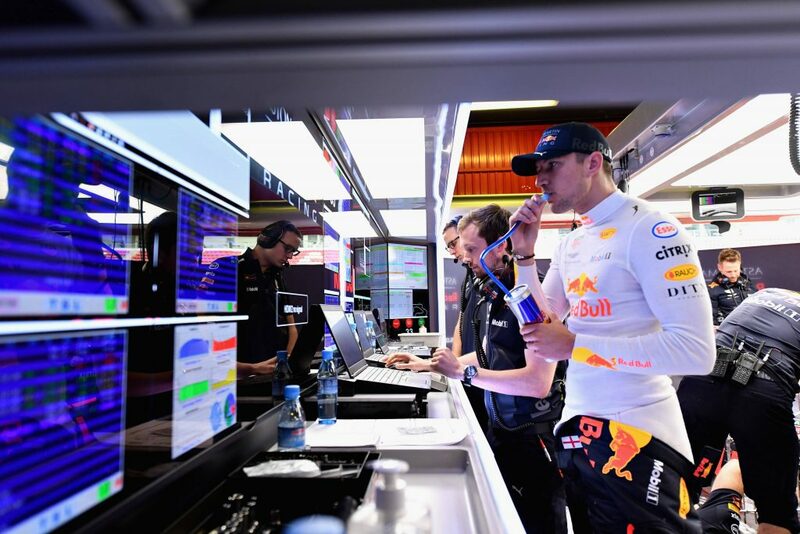 With the Dutch driver putting in a heavy workload on Tuesday, Red Bull focused on evaluating test items targeted at upcoming races with Dennis, in what the team described as an engineering biased day. As well as giving the Briton experience in the car, the team hopes the outing will help Dennis with his work in the simulator. Fresh from his first win in F2, Renault reserve driver Jack Aitken got to test a hybrid-era F1 for the first time, as he and Carlos Sainz were in the car for the team. Aitken’s efforts in the car including a range of stint lengths to help the British-Korean driver get acclimatised to the RS18, as well as carrying out aero and mechanical evaluations. He completed 120 laps and ended the day sixth out of 13 drivers. Sainz showed impressive pace on the opening day of the test, finishing second in on the leaderboard behind Max Verstappen, and ahead of Lewis Hamilton and Sebastian Vettel. Sainz ran a similar programme to Aitken, with the team keen to find ways to extract further performance from the car. Force India were one of the busier teams at the test, running one car for their own purposes and a second for Pirelli’s tyre test. This meant the team used three different drivers over the two days, but gave Sergio Perez and Esteban Ocon the week off. Reserve driver Nicholas Latifi was in the team’s car on day one before switching to the Pirelli car today. Mercedes young driver George Russell and GP3 driver Nikita Mazepin were also in the car for Force India. Latifi, who was driving the VJM11 for the first time, had a strong showing in the team’s car, finishing Tuesday with the fifth best lap time of the 13 drivers in action, while completing 107 laps of the circuit. Like Force India, McLaren were working on their own testing programme, as well as running a car for Pirelli. Stoffel Vandoorne and reserve driver Lando Norris were out in both cars, while Oliver Turvey also did a stint in the Pirelli car. 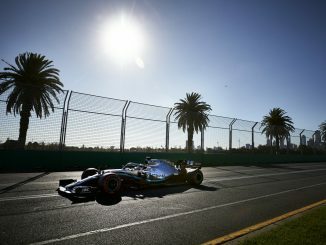 Vandoorne was in the team’s car on Tuesday with a programme aimed to work on shorter runs, as well as testing different components, settings and fuel loads. 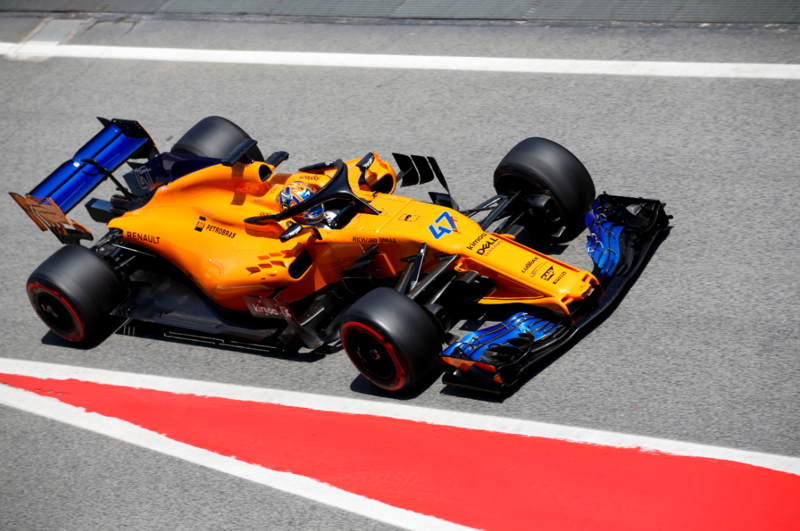 Norris stook to low-fuel runs in the Pirelli car, while Turvey ran a higher fuel set up, with Pirelli reporting that they were happy with the data collected from the second McLaren car. Norris and Vandoorne switched places today, with the F2 driver taking charge of team duties. His tasks includes correlating aero data on the new components, as well as working on set up changes for different tyre compounds. Haas were one of only two teams to use their regular driver lineup at this test, with Romain Grosjean on duty yesterday before handing over the reins to Kevin Magnussen today. Grosjean, who caused a first-lap crash on Sunday, did a lot of work on the hypersoft tyre ahead of its debut at next weekend’s Monaco Grand Prix. The Frenchman finished the first day fourth on the timing sheet. Magnussen’s programme didn’t go entirely to plan today, as the Haas engineers spotted a problem with the data from his car, forcing him to stop the car on the circuit and resulting in a red flag. Although the team looked over the car, they weren’t able to get it running again by the end of the test. Despite a shorter than expected day, Magnussen was still able to finish the day fourth fastest. Toro Rosso grabbed the headlines when testing at Barcelona pre-season, showing impressive pace and reliability with the new Honda engine. That hasn’t translated into results so far this season though, Pierre Gasly’s fourth in Bahrain aside. F2 driver Sean Gelael was on testing duty on Tuesday and this morning, before Gasly, fresh from his opening lap crash during Sunday’s race, got in the car this afternoon. The team had limited running on Tuesday because of what the team called a chassis-related issue, which forced them to change the power unit. Once back up and running, the team focused on aerodynamic testing, cooling evaluation and tyre testing, claiming to have found some interesting directions which it will analyse and explore further. Gasly also had a reliability problem this afternoon, with a steering issue limiting his track time. Williams were another team resting both of their racing drivers, as official young driver Oliver Rowland and reserve driver Robert Kubica were in the car. Rowland was in action yesterday, with the team praising his efforts. He completed 121 laps in the car, allowing Williams to get through a number of test parts. Kubica was back at the wheel today, having also taken part in FP1 in Sergey Sirotkin’s car on Friday. Kubica’s fastest time was almost a second quicker than Rowland’s, leaving the Pole eighth out of the 13 drivers in action today, including full-time F1 drivers Pierre Gasly and Stoffel Vandoorne. The team hopes the data collected from Kubica’s runs will help them set the car up for Monaco and beyond. Reserve driver Antonio Giovinazzi opened the testing programme for Alfa Romeo Sauber, before rookie driver Charles Leclerc took over today. 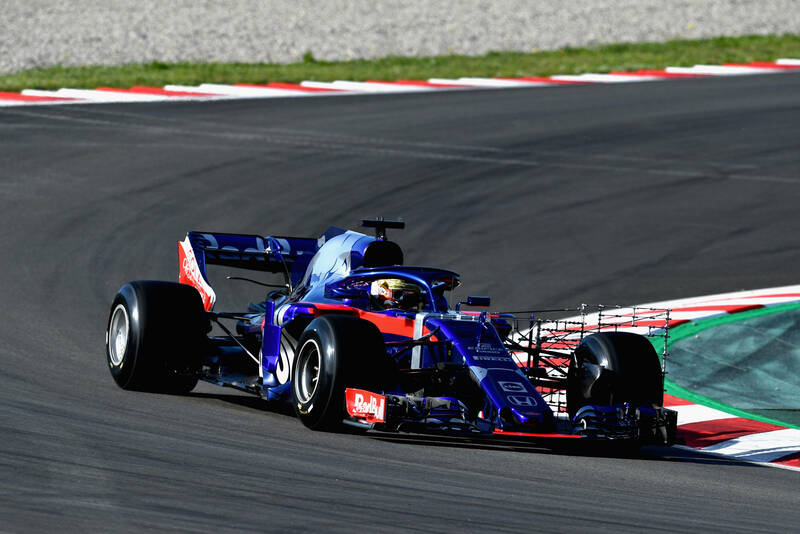 Giovinazzi completed a varied workload on Tuesday, working on aerodynamics, mechanical tests and tyre work while operating a number of tyre compounds, finishing the day eighth fastest out of 13 drivers. Leclerc ran a similar programme today, with the team praising his excellent performance and consistency to finish seventh. Sauber says it will use the data to start its preparations for the Monaco Grand Prix.